Logo design is one of the most essential areas in graphic designing and is part of those that are extremely difficult to perfect. Logos actually refer to images that embody an organization. Because these are primarily used in representing the identity and brand of companies and corporations while also fostering immediate customer recognition, it is essential for logo designers to effectively and creatively redesign logos. When it comes to designing logos, it is important for you to keep in mind that color plays a vital role in brand recognition. However, you have to make sure that you do not use elaborate colors in your logo to ensure that this won’t conflict with the functionality of the design. It should also be noted that there are certain colors that are primarily associated with specific emotions that a designer wish to deliver. Red, for example, is extremely useful in attracting attention so this is perfect for companies that are in great need of attention. It is also important for you to remember that lower saturation and more subdued tones are capable of communicating quality, relaxation, reliability and any other positive qualities. If you want to become an expert in logo designing, then it is important for you to remember that this is not actually a simple task. It requires involvement from the design agency and the marketing team. You also need to understand the values and concepts of the company or brand which you are working for and the target group and consumers as well. The logo design certification program which you can now access at Brainmeasures is perfect for you if your dream is to become a real expert in the field of designing logos. The logo design course offered by Brainmeasures is one of the company’s most impressive and comprehensive online certification programs so you have a guarantee that it is capable of delivering the most accurate and relevant information. By enrolling in this certification course, you can allow yourself to undergo a logo design training which is guaranteed to work in your attempt to understand everything about logo designing, how to effectively represent a brand or a company to its audience through the logo that you have designed and the most vital steps that you need to undertake when performing the logo designing process including the concept formulation, initial sketch creation, logo concept finalization and theme format and color selection. Once you take a hold of your logo design certificate, it will be easier for you to inform the public that you have the highest level of skills and expertise in the field of logo designing. 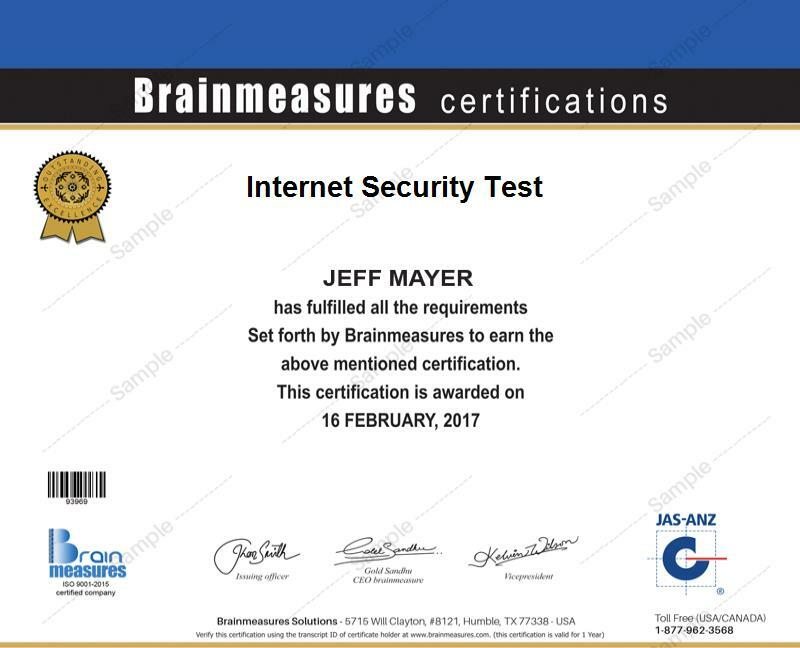 The logo design certification program which you can now easily access at Brainmeasures is extremely useful for a lot of people. You can expect this certification course to be more beneficial for all aspiring and existing logo designers, graphic designers, layout designers, sales and marketing professionals, brand professionals and any other individuals and professionals who are responsible in creating the most impressive logos. After you successfully complete a logo design certification course, you will also find it useful in getting highly profitable positions. You can take full advantage of your logo design certification by working as a logo designer which offers you around $40,000 to $60,000 annually. You can also get the position of a logo design manager which allows you to receive a profitable pay of approximately $80,000 to $111,000 per year.